Having Cancer is tough, and it’s also tough to have a friend or family member going through it. It’s hard to know the right things to say And when to say them. The Hodgkin’s Awareness Group composed a bunch of “what not to say” lines, to help everyone out. I laughed the entire time writing this, because they are so spot on and ridiculous. Everyone pretty much agreed that this is number 1..DO NOT and I repeat DO NOT talk about alternative treatments or natural remedies. Just don’t even go there. Stop while you’re ahead. You can have your opinions, and we will have ours, but quite frankly ..when you have CANCER, going vegan won’t be doing crap for us. Do not try to sell any holistic bs. If going vegan worked to cure cancer, we would all be doing that. Don’t even mention essential oils. Don’t recommend vitamins. Don’t try to sell us vitamins. You aren’t allowed to take vitamins while undergoing treatment. Do not try to sell us hair regrowth shampoo and conditioner via Facebook or Instagram. We are getting blasted with poison. Our hair won’t be staying on our heads. Unless your name has M.D. after it, don’t offer unwanted medical advice please and thank you. “How are you feeling?” Every hour. We know that you mean well, but anyone going through chemo and radiation quite frankly won’t be feeling too hot..for the next 6 months minimum. And they don’t want to be asked every hour how they are feeling. Try using “checking in”, it’s way better. “What are you up to today?” Oh you know, just getting poisoned or burned alive at the cancer center lol. Don’t complain about how sick you are to someone who is actually…sick. I’m so sorry that you have a sinus infection, or are struggling with being tired. Really, I am. “You look good bald.” Don’t even go there. Losing your hair is probably one of the most traumatic things that a woman can go through. But, I’ll keep in mind that you think I look good bald during my next chemo, when my hair that just grew back starts falling out in chunks again. “I hope this ordeal is over for you soon”. Someone wrote me this once and I actually spit out my water when I read it. Ordeal? Block. “You’re almost there.” Cancer is a life long battle even after chemo and radiation. It’s a life long situation that you have to come to terms with, and even if you’re close to or in remission, there are still many unknowns. Don’t share a cancer story with a bad outcome, or talk about how you don’t like our doctor. Or how person X died of the cancer that we have. It’s not very comforting. Don’t share the same cancer story over and over about person X going through chemo and radiation too. We don’t care. “At least you have the good kind of cancer” or “You’re so lucky that you have Hodgkin’s!” There is no “good” kind of cancer, and quite frankly none of us enjoy losing all of our hair, and being poisoned and burned on a daily basis. And FYI, chemo and radiation give you a higher chance of developing a secondary cancer. There is no good cancer. “Chemo is toxic.” Yes, we are completely aware of that. “Have you considered changing your diet?” Stop it. “At least your cancer is curable” News flash, no cancer is curable. Once you have blood cancer, you can no longer donate blood FYI. “You really want to get THAT treatment?” Unless someone is asking for advice on treatments, don’t interfere. It shows that you’re undermining our confidence in our doctors. Don’t compare your pregnancy to our chemo symptoms. Remember that time you CHOSE to become pregnant? 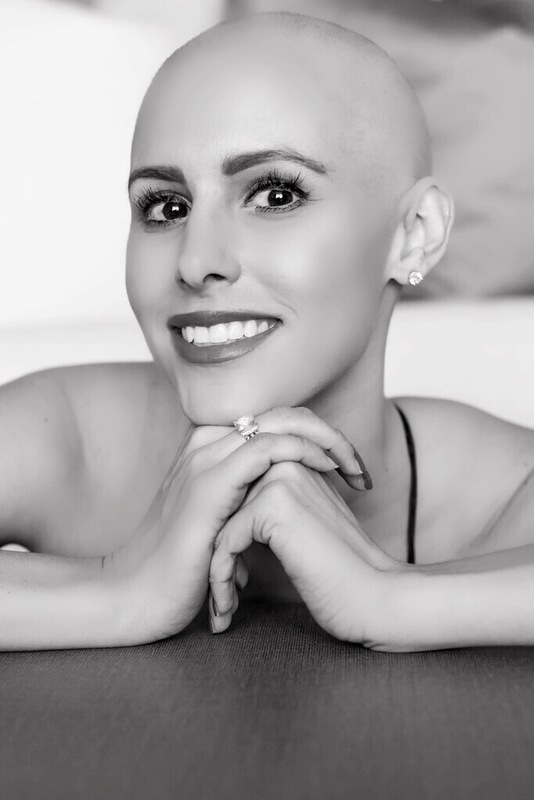 “At least you don’t have to do your hair every morning anymore.” This is only appropriate for someone who has or has had cancer to say to you. “Use coconut oil for radiation. It’s moisturizing.” Should I just use tanning oil too before I jump in the machine for treatment? Radiation: finding strength in the struggle! These are spot on! The “you look good bald” one cracks me up because I was a head shaver before chemo and now it just means I can go longer between shaves. I seriously had a guy tell me a story about someone he knew that died from HL and speculated it was from taking the same supplement brand I use. (But he over did it…etc.) not what I needed to hear right after disgnosis. Love your candor on here, keep it up!! Wow, thank you. I’ve been told over and over that I have the “good kind of cancer”. And yes, I only had to do radiation, but it was of my breast. They’re burning my breast, an area of my body that has never seen the sun and I’m not particularly comfortable laying there half naked in a room full of strangers who are jostling me around. So, yeah…thank you for this post. You need to post this beyond your blog. I got all sorts of these as well and many more. I have found the more you educate people they get offended by being corrected because somehow they know more about cancer than you interesting.